Superdry men’s Urban sweatshirt from the Orange Label range. This sweatshirt is the ultimate wardrobe staple, featuring a crew neck, a ribbed hem and cuffs and a large zip fastened front pocket. 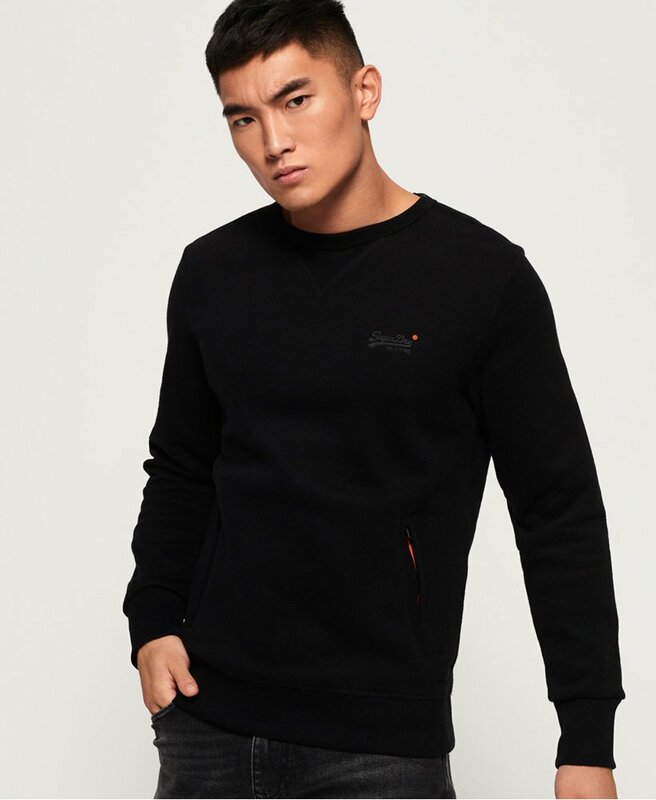 This soft-touch sweatshirt is completed with Superdry logos on the chest and sleeve. Wear this sweatshirt with your favourite jeans or joggers for a comfortable, laid-back look.